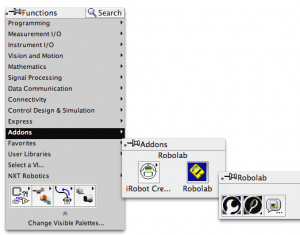 ROBOLAB for LabVIEW is an add-on for LabVIEW that enables you to run the classic and much loved ROBOLAB within a current installation of LabVIEW. 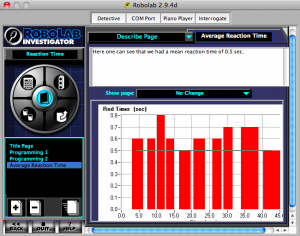 This is not a standalone product, so a version of LabVIEW (e.g. LVLM, LV4E, etc.) is required. To use the RCX USB tower, some operating systems (e.g. 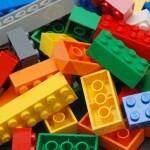 64-bit Windows 7) will require additional drivers to be installed. See RCX USB tower support for more information. The RCX 9V battery tower works on all operating systems. ROBOLAB for LabVIEW works on all flavors of LabVIEW after 2010 (but could be recompiled for earlier ones if needed). 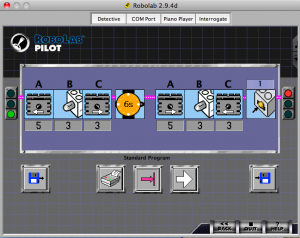 To support the NXT, the Fantom drivers are required. If you are running LVLM or LV4E, then these drivers would be installed already. 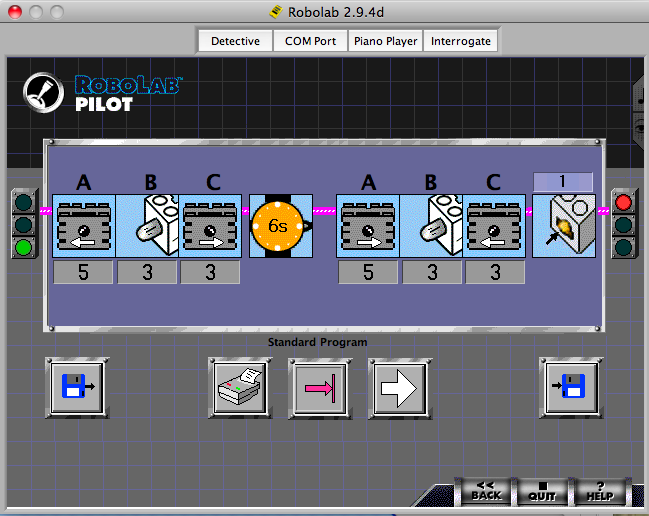 Alternatively, you will need to install either “LabVIEW module for LEGO MINDSTORMS” or the “LEGO NXT Module” first. See https://decibel.ni.com/content/docs/DOC-15615. 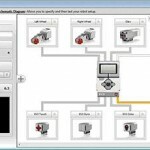 If you don’t already have LabVIEW for LEGO MINDSTORMS, download and install it and/or the “LabVIEW module for LEGO MINDSTORMS” (or the “LEGO NXT Module” if you’re running an older version of LabVIEW). See https://decibel.ni.com/content/docs/DOC-15615 for more details and links to these downloads. Ensure that both the installer and the add-on zip file are in the same folder (the installer will unzip the zip file). 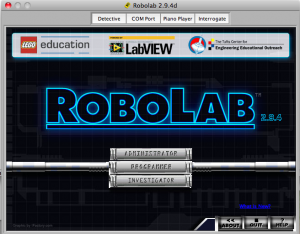 Open the installer in LabVIEW. Close all windows and restart LabVIEW.